You can be the first to feel fruity with this super sized Banana Adult Unisex Costume. 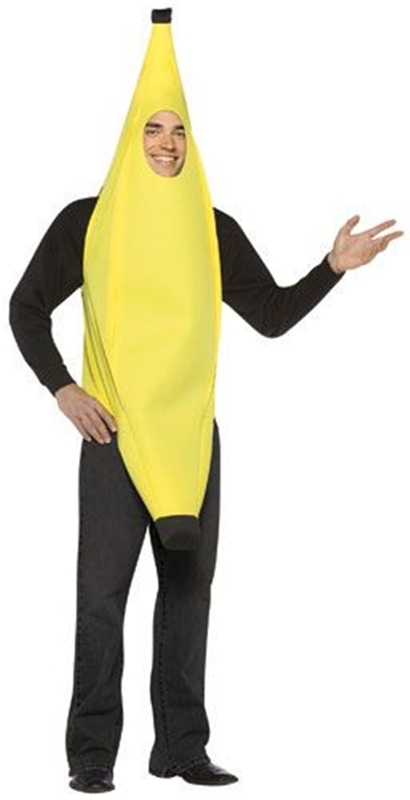 This costume includes a banana bodysuit and is made of 100% polyester. *Does not include pants, shoes, or shirt.